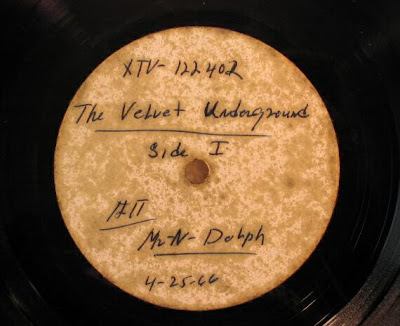 Awhile back some guy was digging through a box of water damaged LP's at a garage sale and purchased this odd little Velvet Underground recording from 1966. What he first suspected was some sort of bootleg turned out to be an in studio test pressing of the Velvet Underground's Velvet Underground & Nico LP prior to Andy Warhol's involvement with the band. Essentially, this is The Velvet Underground's first real record. The sound quality is a bit shoddy, but as a big VU fan it's pretty interesting to hear these different mixes and versions of classic tracks. This thing eventually found its way over to Ebay and ended up selling for over $150,000. Not bad for a water damaged acetate that only cost a quarter.